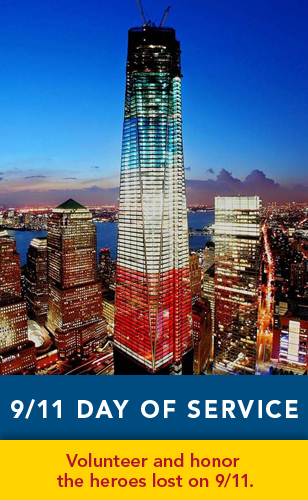 Be a hero and volunteer to honor the victims, families and responders lost on 9/11. Visit http://www.nationalservice.gov for more info on how you can volunteer today. This entry was posted in Volunteer by federalalliance. Bookmark the permalink.